The first film in this series, entitled “The Initial Storm” examines in a level of detail never described before in any TV documentary, the evidence of the first night when Madeleine is alleged to have disappeared. The second film, “Dogs Don’t Lie”, reports on the compelling findings of one of the worlds top sniffer dog handlers, Martin Grime, whose two dogs searched for scent at key locations in Praia Da Luz. The third film exposes the so called private investigations instigated by the McCanns, details of which have never been aired on TV before. We reveal evidence and detailed testimony about the government agencies who were claiming to be searching for Madeleine or helping the McCanns, but was this really their agenda? Our four documentaries represent the most detailed film based analysis of the Madeleine McCann story, leaving the viewer with an understanding of the comprehensive establishment led cover up, and offer suggestions as to what all the evidence really points to. @Woofer wrote: Just finished watching Richard Hall`s DVDs. My first thoughts were that this will be banned - it has to be, so I would advise everyone to get a copy and pass it round to their friends and neighbours as soon as poss. This programme has way more impact than even Goncalo`s book and Richard Hall is to be praised for all the work he`s put in. The photography is good, far better than any documentary shown by MSM. It is well laid out and easy to understand. Richard lists all the irregularities and shows diagrams of connections between people. Richard has made this programme because he is sick and tired of the MSM not telling the truth. He exposes how Clarence Mitchell has been controlling the media and keeping the case alive for years with bogus sightings, that the Media Monitoring Unit is just a department of disinformation. He queries the government involvement from day 1 and the huge number of government people and departments sent out to support the McCanns (when MBM could have been found any minute). I`m not going to go through everything but Richard analyses the Open/Closed bedroom door, the windows, the curtains, the weather. 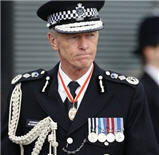 He shows the discrepancies in the statements and shows how the McCanns have tried to back fill all these inconsistences. In Disc 2 he spends a lot of time on David Payne irregularities including his visit to the apartment, the tennis game etc and also the fact that Leicester Police didn`t send the Gaspar statements to the PJ for 5 months. 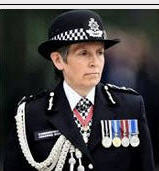 He reports on the dogs findings and the McCann`s reaction to them and all the excuses they came up with to explain cadaver odour and blood and how they said dogs were unreliable and also how they tried to use the Zapata case as an example. Disc 3 is about all the corrupt Private Investigators the McCanns used and Brian Kennedy`s involvement in arranging them all. He mentions all the money wasted on these PIs - also the fact they were about money laundering and not looking for missing people. One thing I didn`t know was that BK said the meeting with Murat was to offer him a job to help find Madeleine. Disc 4 is about the government agents, the Alfaig team and shows how the McCanns were just making up dramatic news headlines. Government involvement highlights Tony Blair, Milliband and Gordon Brown and how they employed professional liars (spin doctors) and he asks what was so important for the government to get involved so heavily. He thinks it was Sheree Dodd who Tony Blair made the Special Foreign Office Ambassador to the McCanns that sussed that something was not right and reported back her feelings - she was then dropped. He explains how it was Gordon Brown who insisted on JT`s sketch of the `abductor` be released 5 months later, even though the PJ did not believe it was a credible sketch. He asks who gave the order for CEOP to go to Portugal and why Jim Gamble asks for all their holiday snaps, so bypassing the PJ. 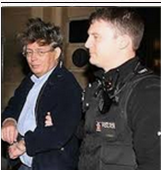 He also queries Alex Woolfall`s need to have the McCann`s cameras. 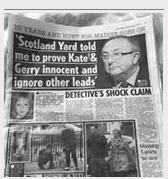 Murat doesn`t have much of a mention, apart from his arquido status and the fact his phone was switched off in unison with Gerry McCann`s. Richard said he will probably do another documentary purely on RM as there is so much more information on him. What rang bells for me was how Richard finished the documentary. He played Ken Livingstone`s words about Kincora Boys Home and how he had found out that MI5 filmed important government people abusing boys in order the government officials could be controlled and blackmailed. Could this be the crux of the whole mystery? This documentary was so well laid out in a form one could understand - it clarified a lot of the cloudiness for me and helped me make the connections that I was unable to before. Well worth the money. Richard Hall also says there is no copyright and he asks that people make their own copies and distribute. I was pleased to pay the £20. for someone working so hard to expose this crime. Richard D. Hall talks about his latest Madeleine film, "The Phantoms" -- See http://www.richplanet.net/ for more information. Following on from his earlier series of films about the Madeleine McCann mystery, Richard D. Hall examines in a level of detail never covered before in any TV documentary, the claims that Madeleine was abducted. Numerous sightings of a man were reported to the police on different dates following the disappearance. This film examines the credibility of these sightings by looking at police witness statements, media reports and other evidence. After a thorough and extensive examination of all this evidence, the most likely conclusion is laid bare for all to see. Once you have watched the documentary, your perception of mainstream media and establishment groups such as The BBC, The Cabinet Office, Scotland Yard and British Intelligence may well need a dramatic adjustment. 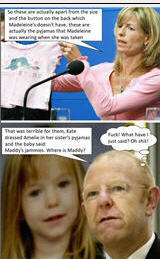 Richard D. Hall's third installment in the "Buried by Mainstream Media, The True Story of Madeleine McCann" series. This one looks at the lack of, and problems with, evidence showing Madeleine was alive after the first full day of the family holiday. What little evidence that she was alive from Sunday the 29th April to her reported disappearance on the night of the 3rd May is highly questionable and does not stand up to scrutiny. Overview: "The past presence of a human corpse was detected in the McCanns’ apartment and in many other places associated with the McCanns by highly trained police sniffer dogs. This clue suggests that Madeleine may have died and her body lain in the apartment for a period of time. Assuming this is correct, what date and time did Madeleine die? The most logical way to address this question is to go back in time to determine what was the last piece of credible evidence, which proves Madeleine was alive. This film attempts to do this by forensically examining witness statements, photographs, physical evidence, police reports and media reports. In doing so the film exposes the agenda of the mainstream media which has, on the whole, helped to cover up the truth about the Madeleine McCann case"
This video was produced by Richard D. Hall with the express permission that it be freely circulated, copied and shared.